The actual profession of chiropractic - as a distinct form of health care -- dates back to 1895. However, some of the earliest healers in the history of the world understood the relationship between health and the condition of the spine. 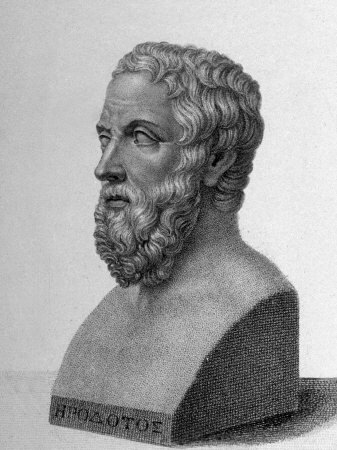 Hippocrates advised: "Get knowledge of the spine, for this is the requisite for many diseases." In 1885, D.D. became familiar with the work of Paul Caster, a magnetic healer who had some success in Ottumwa. D.D. 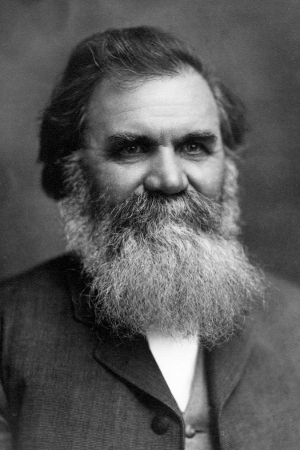 moved his family to Burlington, near Ottumwa, and learned the techniques of magnetic healing, a common therapy of the time. Two years later, he moved to Davenport and opened the Palmer Cure & Infirmary. On September 18, 1895, D.D. Palmer was working late in his office when a janitor, Harvey Lillard, began working nearby. A noisy fire engine passed by outside the window and Palmer was surprised to see that Lillard didn't react at all. He approached the man and tried to strike up a conversation. He soon realized Lillard was deaf. Patiently, Palmer managed to communicate with the man, and learned that he had normal hearing for most of his life. However, he had been over in a cramped, stooping position, and felt something "pop" in his back. When he stood up, he realized he couldn't hear. Palmer deduced that the two events -- the popping in his back and the deafness -- had to be connected. He ran his hand carefully down Lillard's spine and felt one of the vertebra was not in its normal position. "I reasoned that if that vertebra was replaced, the man's hearing should be restored," he wrote in his notes afterwards. "With this object in view, a half hour's talk persuaded Mr. Lillard to allow me to replace it. I racked it into position by using the spinous process as a lever, and soon the man could hear as before." D.D. Palmer found each of these conditions responded well to the adjustments which he was calling "hand treatments." Later he coined the term chiropractic -- from the Greek words, Chiro, meaning (hand) and practic, meaning (practice or operation). He renamed his clinic the Palmer School & Infirmary of Chiropractic. In 1898, he accepted his first students. Although he never used drugs, under Palmer's care fevers broke, pain ended, infections healed, vision improved, stomach disorders disappeared, and of course, hearing returned. Often surprised at the effectiveness of his adjustments, D.D. Palmer returned to his studies of anatomy and physiology to learn more about the vital connection between the spine and one's health. He realized spinal adjustments to correct vertebral misalignments, or subluxations, were eliminating the nerve interference causing the patients' complaints. At first, even though it proved to be a successful way of healing the body, chiropractic adjustments were not readily accepted. Years after Harvey Lillard's hearing was restored, the news media delighted in vilifying the pioneer chiropractor, whom they labeled a "charlatan" and a "crank on magnetism." The medical community, afraid of his success and discouraged by its own failure to heal diseases, joined the crusade and wrote letters to the editors of local papers, openly criticizing his methods and accusing him of practicing medicine without a license. Luckily D.D. has a son, Bartlett Joshua, who was as enthusiastic about chiropractic as his father and who continued his father's work. Bartlett -- or B.J. as he is now known -- is credited with developing chiropractic into a clearly defined and unique health care system. In 1902, B.J. graduated from the Palmer school started by D.D., and before long -- with his wife and fellow graduate Mabel -- was helping patients and taking on more and more responsibility for the school and the clinic. He also was instrumental in getting chiropractic recognized as a licensed profession.